Susan Kahn is an internationally recognized researcher in venous thromboembolism. Her research activities primarily focus on the epidemiology of venous thromboembolism, specifically etiologic mechanisms and health outcomes. Peer-review funded projects that are underway include the study of long-term clinical, economic and quality of life outcomes after venous deep vein thrombosis and pulmonary embolism, the influence of inflammation and thrombophilia on long term adverse outcomes of deep vein thrombosis, the role of exercise training to treat the post-thrombotic syndrome, and a NIH/NHLBI funded multicenter trial of pharmacomechanical catheter-directed thrombolysis to improve long term outcomes after deep vein thrombosis. She is also conducting projects to elucidate determinants of preeclampsia, a gestational vascular disorder. Dr. Kahn is a founding member of the Venous Thromboembolism Clinical Trials Organization (VECTOR), a national, collaborative research group, and has served, since 2007, as Chair of the CIHR Randomized Controlled Trials grant committee. Locally, she is Director of the Jewish General Hospital Thrombosis Program and the McGill Fellowship in Thrombosis. Dr. Kahn is leading a number of multicenter clinical trials in long-term clinical, economic and quality of life outcomes after venous deep vein thrombosis and pulmonary embolism, the influence of inflammation and thrombophilia on long term adverse outcomes of deep vein thrombosis, the role of exercise training to treat the post-thrombotic syndrome, and the role of compression stockings to prevent the post-thrombotic syndrome. She is a steering committee member, and chairs the Outcomes Committee, of the ATTRACT Study, a NIH/NHLBI-funded multicentre trial of pharmacomechanical catheter-directed thrombolysis to improve long term outcomes after deep vein thrombosis. Kahn SR, Shrier I, Shapiro S, Houweling AH, Hirsch AM, Reid RD, Kearon C, Rabhi K, Rodger MA, Kovacs MJ, Anderson DR, Wells PS. Six-month exercise training program to treat the post-thrombotic syndrome: A randomized, controlled two-center trial. CMAJ 183(1):37-44, 2011. Kahn SR. How I treat the post-thrombotic syndrome. Blood 114: 4624-4631, 2009. Kahn SR, Shrier I, Julian JA, Ducruet T, Arsenault L, Miron M-J, Roussin A, Desmarais S, Joyal F, Kassis J, Solymoss S, Desjardins L, Lamping DL, Johri M and Ginsberg JS. Determinants and time course of the thrombotic syndrome after acute deep venous thrombosis. Annals Intern Med 149: 698-707, 2008. 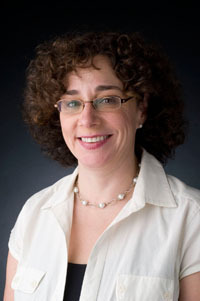 Dr. Susan Kahn is an internationally recognized researcher in the field of thromboembolism. A focus of her work has been on developing measures and determining the health impact and societal cost of long term complications of venous thromboembolism. Dr. Kahn is leading the development of international practice guidelines for the prevention of venous thromboembolism in hospitalized patients. Dr. Kahn has methodological expertise in epidemiology, randomized clinical trials and systematic reviews.